For many years, since his time working with Royal Caribbean Cruise Lines, Marble Zip Tours (MZT) founder and President, Martin Flynn dreamed of building his own zip line. With a background in adventure tourism and being an outdoor and adventure sport enthusiast, Martin always envisioned and dreamed of building a structure that would offer guests a unique outdoor experience. Being from Labrador, the mainland part of the province of Newfoundland and Labrador, Martin was struck by the beauty of western Newfoundland when he first moved to the area. Upon discovering the picturesque Steady Brook Falls, Martin felt that he had finally “found the perfect spot” to bring his vision to life. Marble Zip Tours first broke soil in 2008, and as you can well imagine, it was not a small undertaking! Building a safe and extraordinary structure came with unique challenges. The zip lines–platforms and infrastructure–are built along the banks of a stunning gorge, and at the highest point the lines reach close to 300 feet. A team of professional builders who understood Martin’s foresight worked tirelessly to complete the project in time for Marble Zip Tour’s grand opening in August of 2008. 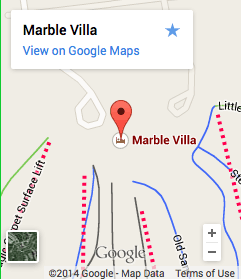 Marble Zip Tours started off with 6 lines and since that time have expanded to 9. Now, in addition to year-long zip lining, MZT now offers winter snowmobile tours and a spring-summer-fall Spider Challenge course. The company has been an extraordinary success and a big contributor to the tourism economy of western Newfoundland. MZT tours has partnered with Marble Mountain Ski Resort and offers incredible ski and zip packages. 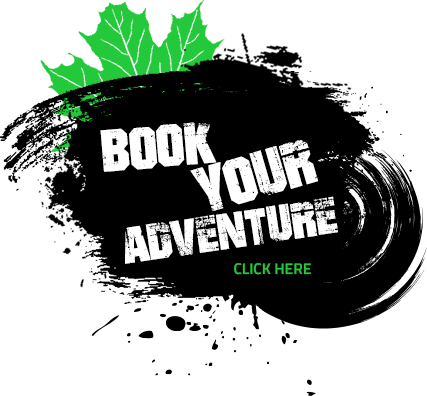 Martin has successfully created the highest, and in the opinion of many–the BEST–zip lining experience not just in Newfoundland, or Canada, but in North America!